Step Through the Gateway to Your Outdoor Recreational Adventures! 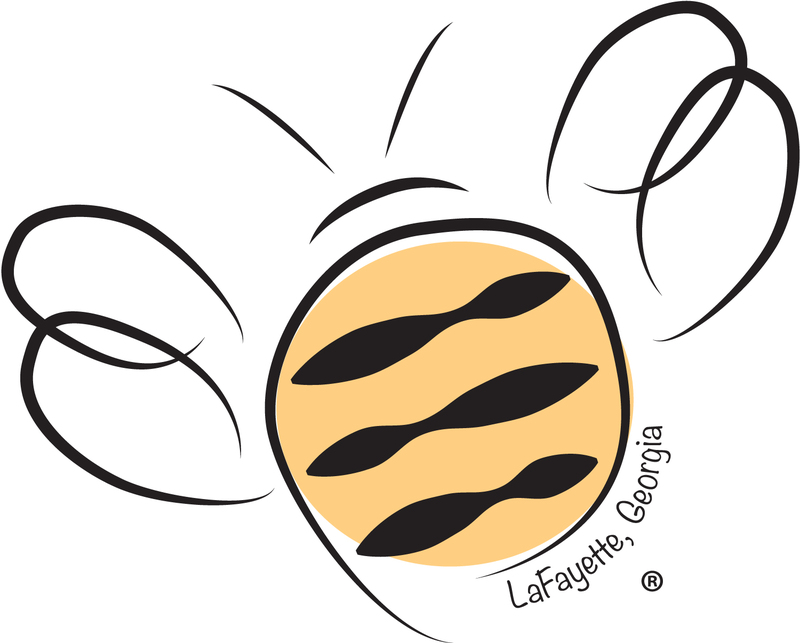 The City of LaFayette Parks & Recreation is “Bee-ing” proactive as the city continues progressing into the 21st Century by creating new outdoor events and activities that are geared towards everyone and at any age. “I believe in this community. I believe in the people and I think that the community is really hungry for new activities and programming,” Parks & Recreation Director Jason Shattuck said. Parks & Recreation’s main center is located at 638 South Main Street where residents and visitors are treated to a multitude of features including a gymnasium, game room, two meeting rooms, kitchen, four baseball/softball fields, three tennis courts, swimming pool, fitness trail, one outdoor volleyball court, four picnic shelters with grills, playground, a nature trail and walking track. Parks & Recreation consists of a nine person staff. Mon. 8 a.m. – 7 p.m.
Tues. 8 a.m. – 7 p.m.
Wed.	8 a.m. – 5 p.m.
Thur. 8 a.m. – 7 p.m. Sat. 12 p.m. - 5 p.m. In recent years, Parks & Recreation has embraced the city’s natural outdoor beauties and attractions. 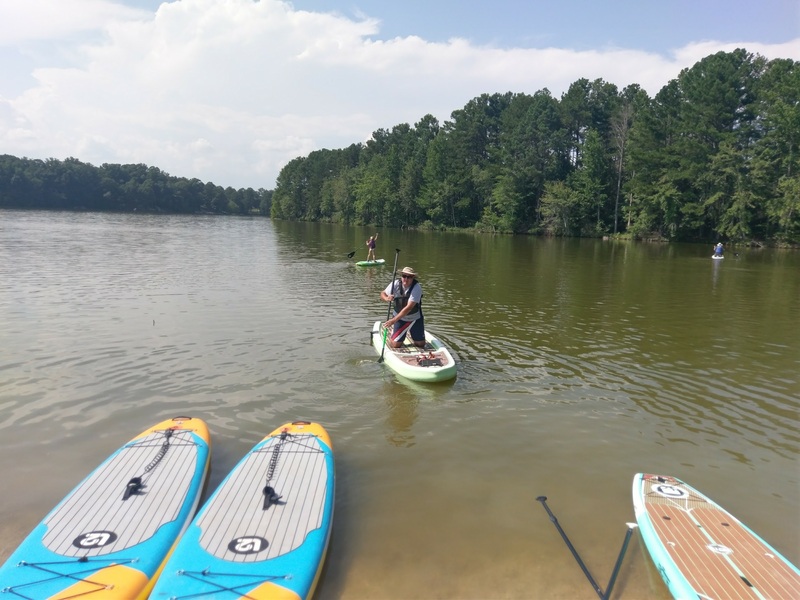 LaFayette is the gateway to your outdoor adventures and Parks & Recreations sees this as a chance to expand the department to include additional outdoor programs such as hiking, fishing, paddle boarding, canoeing, sailing, kayaking, camping, rock climbing and community bicycle rides. T he city offers a variety of picnic areas that are ideal for hosting gatherings and events as well as spending quality time in the outdoors with family and friends. 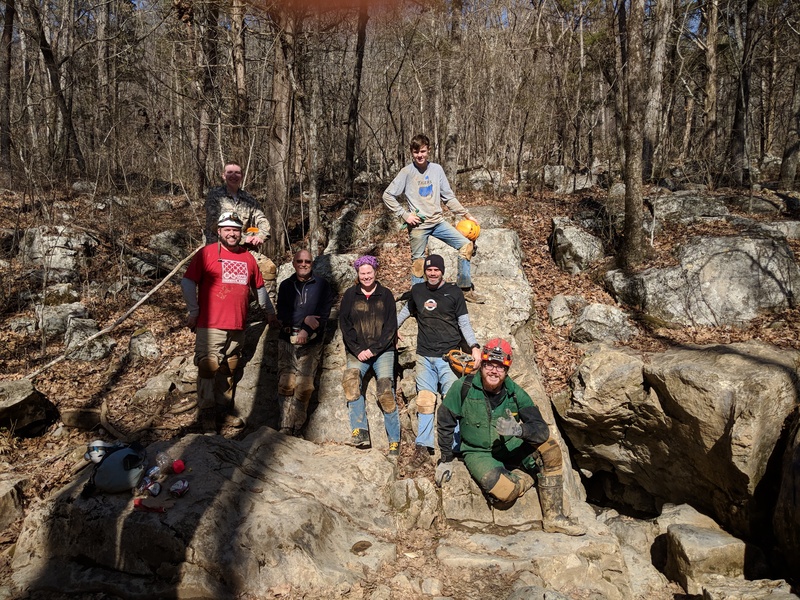 These outdoor adventures incorporate the local walking trails, Queen City Lake, Crockford-Pigeon Mountain and Johns Mountain, therefore influencing additional programs offered through the Parks and Recreation Department. This goes beyond the traditional “bat and ball” recreations typically offered across the nation. We are striving to improve the course of traditional recreational programs to include programming for people of all ages and with various interests and are open to new ideas.” Shattuck said. The entrance to Queen City Lake is located on Round Pond Road near LaFayette High School. The recent addition of the boat dock offers easier access to the water. Visitors to the lake can enjoy a chance to fish, paddle board, kayak, canoe or sail. Fishing tournaments, fishing lessons, sailing lessons, paddle board demonstrations and many other recreational activities are offered at one of the city’s “hidden jewels.” The organized events hosted by the Recreation Department are supervised. Leading up to the annual Honeybee Festival, Parks & Recreation hosts the Honeybee Metric-Century Bicycle Ride bringing both professional cyclists and local community participants. All proceeds go towards reducing registration fees for youth sports and programs. After the success of the inaugural event and the encouragement of citizens, community bicycle rides are becoming a regular event. The City of LaFayette hosts our community wide Freedom Festival to celebrate Independence Day. This event takes place the Friday prior to July 4th and begins at 5:00 p.m. concluding with a fireworks show. Admission is free. It’s an evening filled with music, and a variety of events and vendors. Events include an Old Timer’s Baseball Game, a Corn Hole Tournament, an eating contest, free swim, and a free Pro Wrestling show, just to name a few. Come and celebrate Independence Day with us. Do you like camping? Well, how about a little urban camping? We will be hosting specially planned youth campouts on the baseball fields. The campouts are supervised and will occur in the spring. Opening day for the swimming pool is Memorial Day Weekend. Daily admission is $4 per person. Season passes are available for families and individuals ($100/5 passes included and $40 per individual pass). The fee for a two-week session swimming lesson is $80. Morning and evening classes are available. Operating hours are Monday-Friday 12 p.m.-6 p.m. and Sunday 1 p.m.-6 p.m. Tuesdays and Thursdays the pool reopens from 7 p.m.-8:30 p.m. for late dippers. Admission is $2 per person. Pool rentals are available for $75. Call 706-639-1590 for available dates and times. It’s a great way to cool off in the summer. 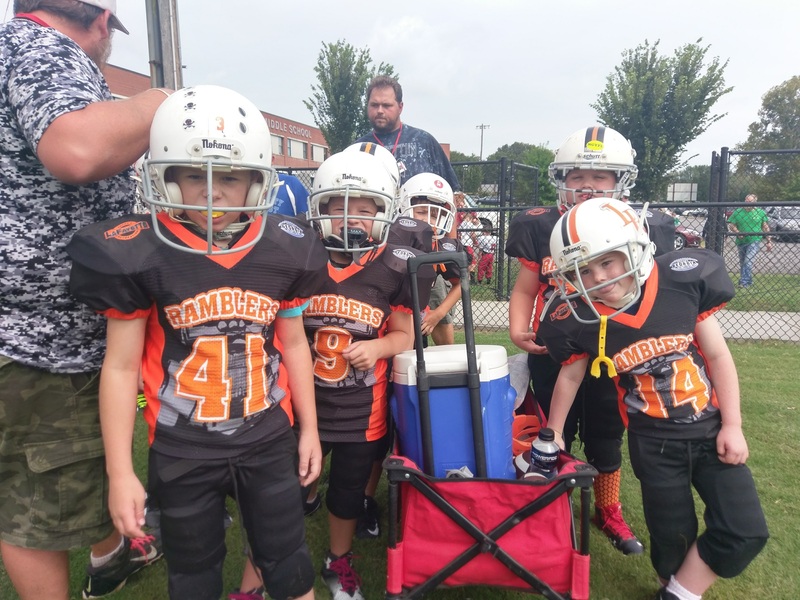 Our youth leagues include football, cheerleading, basketball, softball, baseball, and spring/fall soccer. In addition to these, we now offer a girl’s volleyball league for grades 3-6 and wrestling for boys and girls ages 5-14. Our adult programs include, open and church league volleyball, kickball, pickle ball, and billiards tournaments. We will offer Day Camp for the first four weeks of June and two weeks in July (excluding the week of July 4th). Camp hours are 8 a.m.-5 p.m. Monday-Friday. Campers ages 5-12 will enjoy fun filled days of games, crafts, swimming, and other outdoor fun. On Wednesdays, we will enjoy Reading @ the Rec. provided by the Walker County Public Library with lots of special guests. We are now hosting ballet, jazz, tap, and tumbling classes, line dancing, pottery, and sewing classes. Classes are offered by private instructors at our Recreation Facilities. Call for more information. Our Mother/Son Dance is growing in popularity. Our 2nd annual themed dance was a fun filled evening full of superheroes, games, dancing, dinner, and prizes with almost 200 attendants. The dance is held the Saturday before Valentine’s Day. Come join the fun! Let us help you get in the Christmas spirit by attending our annual Christmas Bazaar. You will find lots of local vendors with a variety of homemade items for sale. The Ross Abney Complex is located at 101 First Street and features one full-size football field and practice field, a walking track and a brand new dog park. It is also available for a variety of events including festivals and concerts. Joe Stock Memorial Park is located at 208-B North Main Street. 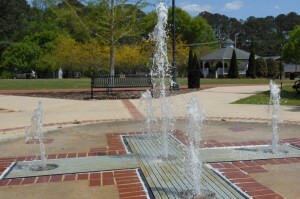 It is a passive park, which features a gazebo, play fountain and memorial park. A large variety of seasonal events are held at Joe Stock Memorial Park. The park is located beside the Marsh House and Chattooga Academy, also called John B. Gordon Hall, which are two of the most historic structures in the area. The Max Stoker Center is located at 700 Glen Street and includes a meeting room with a capacity up to 50-75 people. The center also includes an activities room that is ideally used for dance classes as well as 4 soccer fields and a walking track. 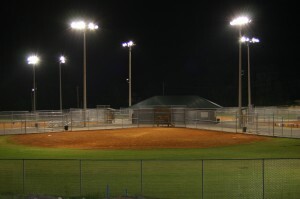 The Lowell Greene Center is located at 301 Webb Wheeler Road and features a gymnasium and a Youth Sports Complex consisting of 4 baseball/softball fields. Simmons Memorial Park is located at 12 Mill Street and features a picnic shelter, an outdoor basketball court, a playground and baseball/softball practice field.